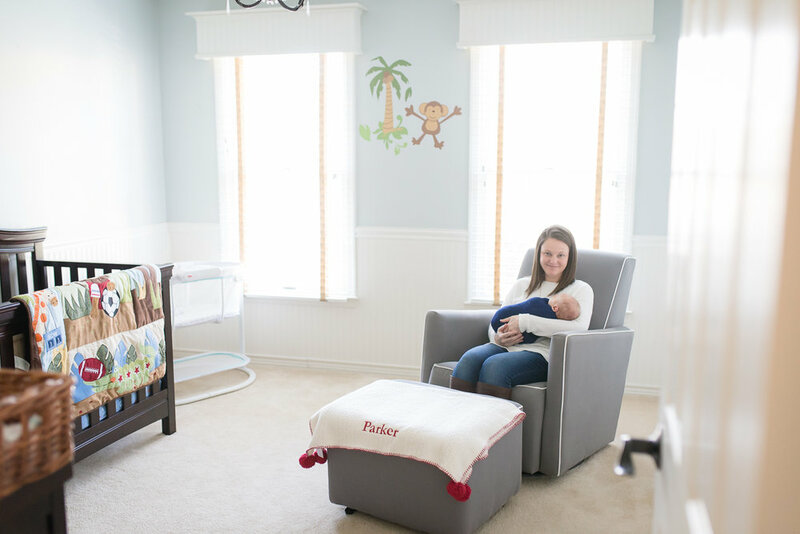 At Home with Baby Parker | Northern VA Newborn Photographer — Northern VA Newborn, Maternity, and Family Photographer serving Ashburn, Leesburg, Purcellville, & Loudoun Co.
Sweet little Parker was my first newborn of 2018. 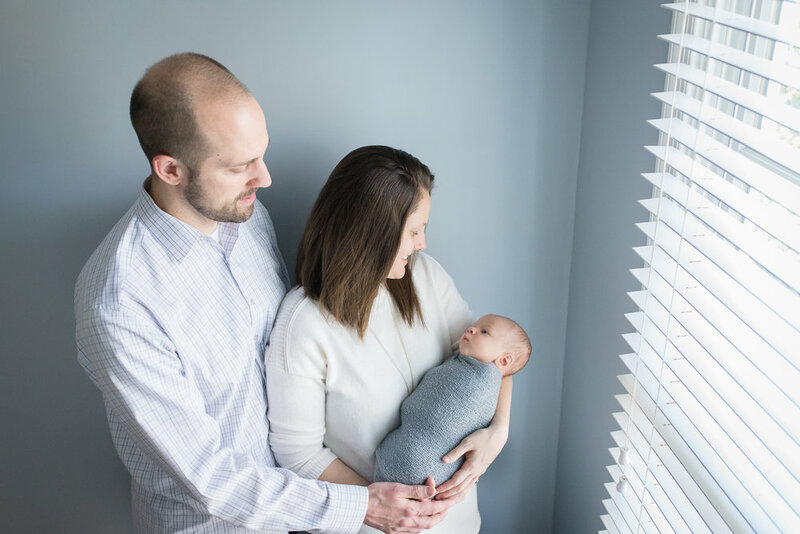 It was a sunshiny January day on the morning of his session and Parker's family lived in the cutest neighborhood at the end of a pipestem, backing to trees. It felt like we were in a secluded wooded area instead of in the middle of Northern VA. Meghan and Brett, Parker's mom and dad, were so calm and relaxed despite having a newborn and a three-year-old big brother named Brayden (and two fur-babies as well!). Brayden was a little shy at first, but it didn't take long for us to become best buds and he did such a nice job of holding his baby brother. It's such a special thing to watch your baby become a big sibling, isn't it?!? I can remember my kids looking so HUGE when we brought home baby! Brayden was such a big boy, but at the same time, he was able to still fit in his crib that was soon to become Parker's new bed and I thought it was so cute watching him look into that bed as his baby brother dozed. 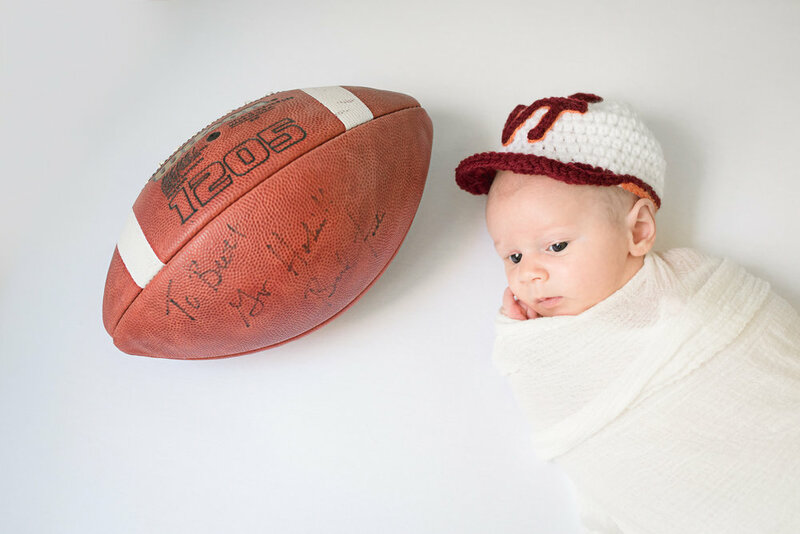 Wishing Baby Parker and his loving family all of the best things in life! It was an honor getting to know them and being a part of this special time in their lives!